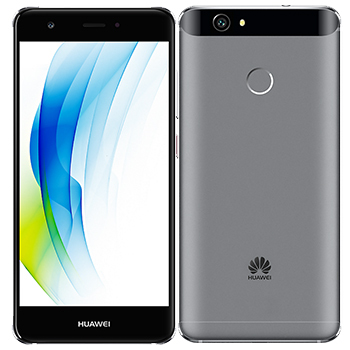 Boasting a strong frame with smooth edges and soft curves, the Huawei Nova's rear shell is constructed from aviation-strength magnesium and aluminium alloy. 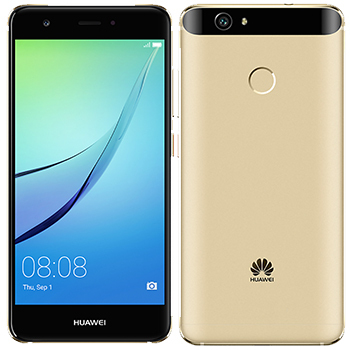 Huawei nova’s ultra-thin industrial design is completed with a subtly curved section of 2.5D glass. Defy the expectations with the exquisite minimalist design that is elegant from all angles. Capture rich and clear memories with Huawei Nova’s 12 megapixel rear camera, offering a larger 1.25μm pixel size, an F2.2 wide-aperture lens and a unique camera coating. The wide-aperture lens and large sensor area, combined with a larger 1.25μm pixel size, produces glorious brightness and contrast under low light conditions. With an 8MP front camera, Beauty Skin 3.0 and Beauty Make-up 2.0, plus a fingerprint panel at the back of the device, taking effortlessly beautiful selfies is at your fingertips. Sporting a 5-inch IPS LCD display with a dense resolution (1080 x 1920p) all of your images will look pin sharp. The Full HD resolution guarantees you’ll be able to show off your videos with pride in the quality. Powered by an impressive 14nm processing and an incredible 2 days common usage delivers one uncompromised package, you'll never miss a moment with the Huawei Nova. Enjoy impressive game play thanks to the combination of a 2.0GHz octa-core processor alongside 3GB RAM. The latest USB technology, Type-C ensures you’re not left waiting around.